The Catholic Bishops Conference of the Philippines has announced that it will dedicate 2019 as the "Year of the Youth". The year-long celebration, which will start on the first Sunday of Advent on Dec. 2, will carry the theme "Filipino Youth in Mission: Beloved, Gifted, Empowered." It's observance, which the bishops described as part of the "nine-year journey for New Evangelization," will end on Nov. 24, 2019, the Feast of Christ the King. 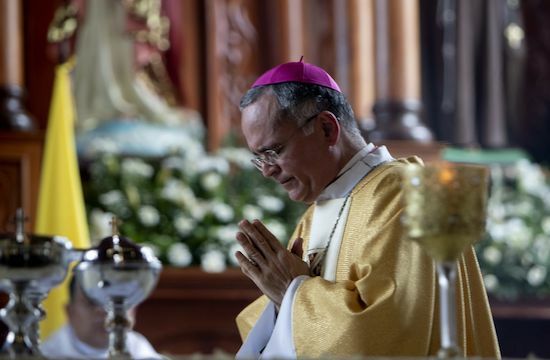 In 2013, the bishops' conference launched a "nine-year journey" to 2021, the fifth centenary of the arrival of Christianity in the Philippines, with a different theme each year. The first five years were dedicated to "integral faith formation" (2013), the laity (2014), the poor (2015), the Eucharist and the Family (2016), and the parish as a communion of communities (2017). The year 2018 was dedicated to the clergy and consecrated persons, while the remaining two years of the preparation will be dedicated to ecumenism and inter-religious dialogue in 2020 and missio ad gentes, or bringing the Gospel to all people, in 2021. Activities next year are aimed at "youth in formation, youth in communities, church and society, youth in mission, and youth ministry and youth ministers." "The Year of the Youth is a journey of encounter with Jesus, accompanied by Mary," read a statement from the bishops' Commission on Youth. "In this journey, we tell the story of the Filipino youth with our Risen Lord ... [and] as we are blessed and gifted during this journey, we are empowered to witness to and share our faith," it added. The "Year of the Youth" observance comes after the Synod of Bishops on young people last month. The final document of the meeting stressed the concrete aspects of the lives of the youth, the role of schools and parishes and the need for the laity to be trained to accompany young people.